GLOBAL FOOD PROVIDER Nestlé is in a battle with critics in tiny Osceola Township, Michigan where residents complain the Swiss company’s water extraction techniques are ruining the environment. Maryann Borden, a retired teacher who has lived in the western Michigan town since 1953, has photos documenting changes in the Twin Creek river since Nestlé began pumping water in the region in the early 2000s for its “Ice Mountain” brand of bottled water. “It’s not the same creek,” Borden, aged 73, told AFP. “It’s narrower and deeper and therefore warmer,” compared with the “biting cold” water of her youth. “The trout can’t survive in it because the water is warmer,” she added. Town officials voted in January to appeal a county court’s ruling in Nestlé’s favour, portending a judicial saga. “If you look at the culverts, they provide a historic landmark,” said Tim Ladd, manager of Osceola Township. “There’s been no measurable changes to the streams, the aquatic life there,” said Arlene Anderson-Vincent, natural resource manager at Nestlé Waters North America, who notes that dams in the area “can affect those streams”. Nestlé pays just $200 (€161) a year to the state of Michigan to pump more than 590 million litres of water. Other US states have struck similar arrangements with big companies, authorising them to pump as much water as they wish for a pittance as long as they build the infrastructure themselves. This includes the beverage giants Coca-Cola and PepsiCo, which sell water under the Dasani and Aquafina brands. “Nestlé has a reputation worldwide of going to poor rural communities, offering all kinds of economic benefits to the community that never really materialize, and taking as much water as they can get and when the stream runs dry they leave,” said Peggy Case, president of the Michigan Citizens for Water Conservation. Nestlé said it spends $18 million (€14.5 million) a year in Michigan, including $2.4 million (€1,934,500) in taxes in 2016. 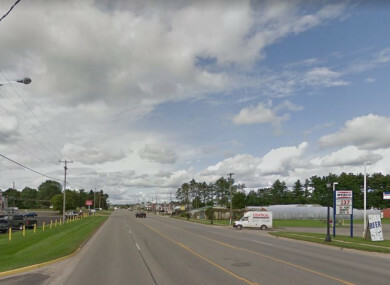 The company employs 280 people at its factory in Mecosta County, about 40 minutes away from Osceola Township where about 50 Nestlé workers live. Nestlé is turning to Twin Creek River as demand for bottled water rises. Wholesale bottled water sales hit a total of $16.4 billion (€13.2 billion) in 2016, surpassing soda sales of $12.5 billion (€10 billion) for the first time, according to the Beverage Marketing consultancy. Nestlé’s water brands in the US, which includes Poland Springs and Pure Life in addition to Ice Mountain, garnered 55.3% of the company’s total worldwide water sales in 2016. Zackary Szakacs, city manager of Evart, credited Nestlé with keeping water rates low in the region. The average income in Osceola Township is just $20,000 (€16,121) per year, around the poverty level for a family of three. “Thank God we have two of those wells in the city of Evart because I would have to lay people off,” Szakacs said. Access to affordable drinking water is becoming more problematic, and as many as 36% of US households may be unable to afford water within five years, according to a 2017 study by Michigan State University scholar Elizabeth Mack. Email “This tiny Michigan town is in a giant water fight with Nestlé”. Feedback on “This tiny Michigan town is in a giant water fight with Nestlé”.